Want to write your own games for Windows and Windows Phone? Take a look at my new book: Windows 8 and Windows Phone 8 Game Development -- available now! 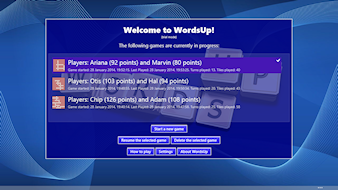 You can play local WordsUp against your friends (hot-seat or "pass and play") or against the computer, or can play network games against other players over the internet. 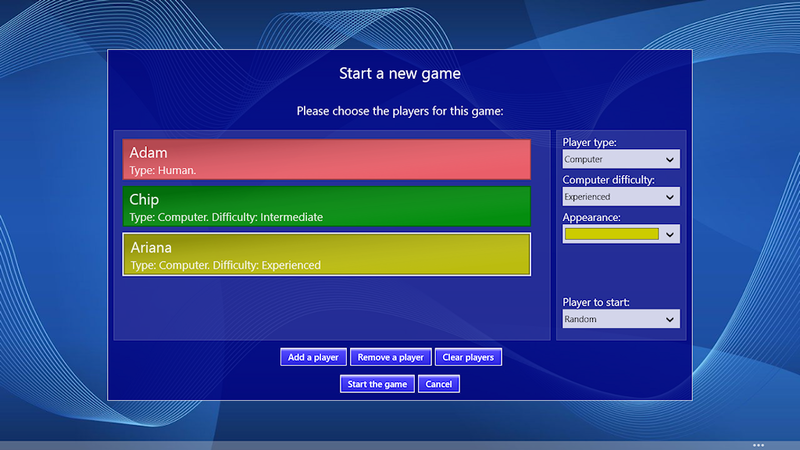 The computer players have four difficulty levels, from "beginner" through to "expert" if you fancy a real challenge. You can set local games up with any combination of human or computer players. All features of WordsUp are available in the trial, so that you can fully evaluate the game and all its features before buying. Please give it a try and see what you think. 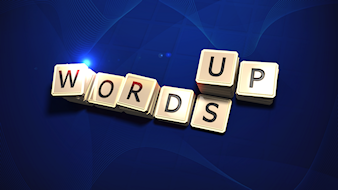 I intend to continue developing and enhancing WordsUp, so if you have any comments, suggestions, complaints or bug reports, please contact me and let me know. WordsUp is now also available for Windows Phone. Support for up to four players, including any mix of human and computer players. Play against other people anywhere in the world over the internet. 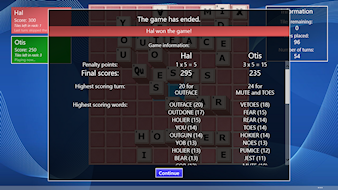 Network games can be played across all WordsUp platforms (Windows Phone, Windows). 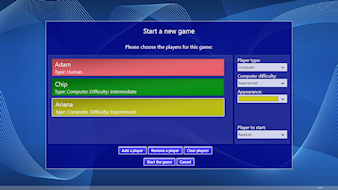 Four computer difficulty levels, from "beginner" through to "expert" for a real challenge. Manage multiple games simultaneously -- put one game on hold and begin another whenever you like. Informative game interface with easy to see information about what each player did on their turn. Full support for "hot seat"/"pass and play" multi-player games -- each player's tiles will be hidden as the next player prepares to play. WordsUp's live tile keeps you updated whenever a network game is updated and can optionally display update notification messages too. DigiLocker DigiLocker, the home of Jonny Shaw (who provided the fantastic logo graphics for WordsUp -- thanks Jonny!). This is a bug-fix release to address a problem with playing the game with a mouse on Windows 10 devices. This is a bug-fix release to address a problem where the user interface occasionally froze up while playing. 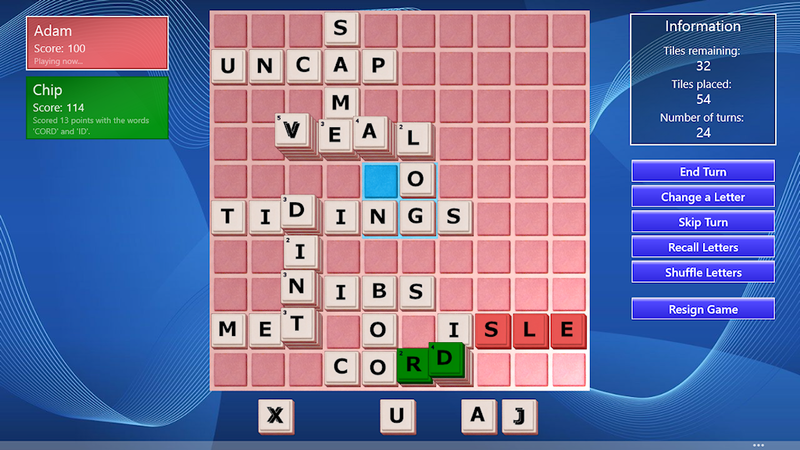 WordsUp is now available for Windows Phone too as a universal app, so buying on one platform will get the game on both. Windows Phone 7 and 8 devices are supported, including low memory devices. Added support for playing with others over the internet. Players can join a game by entering a nine-digit game code, with no registration or sign-up required. Games can be played across all supported platforms. Changed the game rules so that as soon as any player runs out of tiles, the game ends. 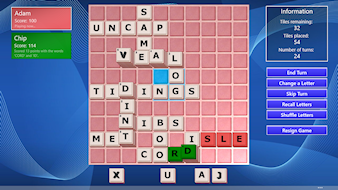 Changed the game rules so that existing words cannot be completely covered when adding tiles -- at least one letter of each word being changed must be left. Live tile support for network games. When playing against computer or network players, your letters will be shown in the player list while other players are playing to help you prepare for your next turn. This is a bug-fix release to address a problem where each game was starting with the same letters. 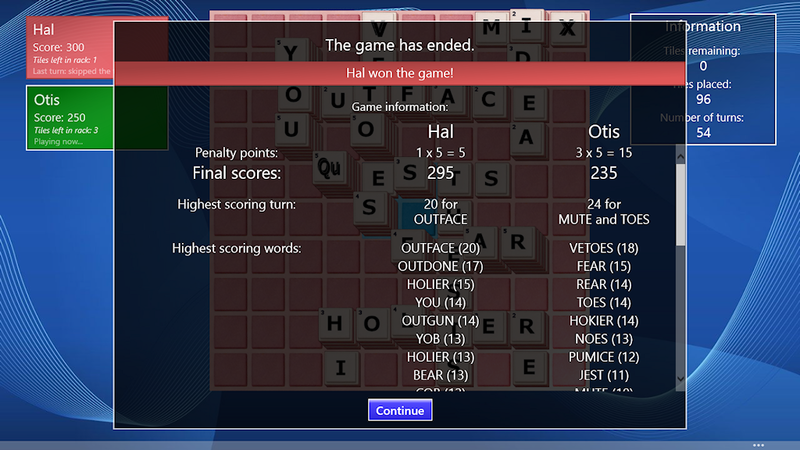 Significantly increased the number of words in the game dictionary (from around 63,000 words to around 190,000 words). Fixed a crash that caused the game to fail on some Windows 8 systems (it was fine for Windows 8.1). The game list now correctly sorts into the order in which the games were last played.